3 months ago ago by Genesee Community College. 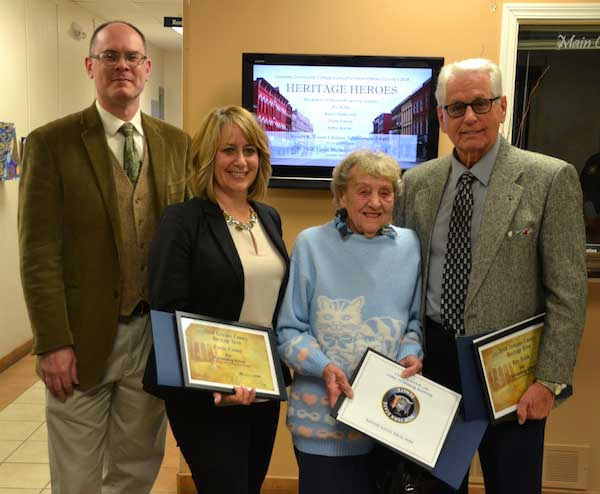 Batavia, New York - Now in its sixth year, Genesee Community College and the Orleans Hub are proud to continue the Orleans County Heritage Heroes Awards which recognize the dedication and hard work of dedicated citizens who strive to protect and preserve local history. They are now seeking nominations for the awards. Nominations will be accepted through Friday, February 22, 2019. Nominees for Heritage Heroes Awards can be any age but posthumous nominations will not be accepted. History professionals and GCC employees are also not eligible for the award, nor are those who serve on the awards selection committees. Nominees must be Orleans County residents. Last year’s winners included Aaron Grabowski, Diane Palmer, Arthur Barnes and Roy Bubb. Lysbeth Hoffman received the special C.W. “Bill” Lattin Award for Excellence in Municipal History, and Marsha DeFillips received the Bob Waters Lifetime Achievement Award. Because nominations are not retained for future consideration, residents who made previous nominations are encouraged to re-submit a nominee again for this coming year. Nominations may also be emailed to Jim Simon at jsimon@genesee.edu. Please write Heritage Heroes Nomination in the subject line. A screening process involving community members and history professionals will review the nominations and recommend finalists. From those finalists, the executive committee including GCC Associate Dean Jim Simon, Associate Professor Derek Maxfield and Orleans Hub Editor Tom Rivers will choose the Heritage Heroes. The Heritage Heroes will be recognized during a ceremony at Genesee Community College in Albion in April 2019. The group includes, from left: Aaron Grabowski of Medina, Diane Palmer of Albion, Beryl Barnes (accepting for her son Arthur Barnes) and Roy Bubb, who has written about growing up in Clarendon. 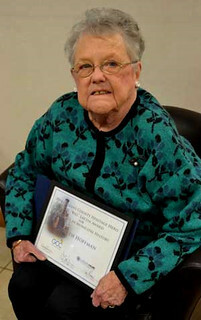 Betsy Hoffman, the Carlton town historian, received the C.W. “Bill” Lattin Award for Excellence in Municipal History. 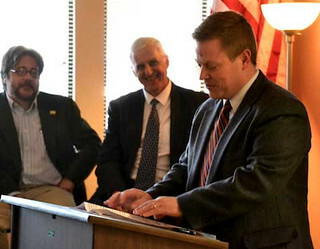 Right, Adam Tabelski, former mayor of Medina, gave the keynote address with GCC professor Derek Maxfield, back left, and GCC Dean Jim Simon.